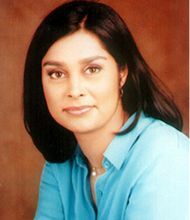 The latest addition to Indiantelevision.com's Young Turk gallery is Zain Verjee. In seven years Zain has gone from reading the traffic news updates for an African radio station to becoming one of the most recognisable faces on CNN co-hosting Your World Today with Jim Clancy. The show airs from Monday-Friday at 8:30 pm IST. She also hosts the Q&A segment of the two-hour show. Zain pushes the envelope in a bid to give viewers the correct perspective on what is going on. Zain packs in a whole lot into her working day, which begins at four-five every morning with a thorough check of the day's newspapers, wires and periodicals. Her day at the office in CNN's headquarters in Atlanta begins with the edit meeting. This is followed by discussions with co-host Jim Clancy about possible subject matter and how a story is to be tackled. If there is a live morning shot with an anchor then a decision is taken as to what must be gotten out of it. In fact by the time the show goes on air from 11am-1pm EST, Zain has been up for over eight hours. Such a long working day means Zain is in bed by eight or nine pm. No nights on the town for this lady, whose stated mission is to go beneath the surface on the news she covers! What drives Zain is the constant endeavour to improve on her previous work as well as her fascination with a news story as it develops. The self confessed honest, genuine person hopes that the viewer perceives her as warm and inviting. "I like to think that I am not arrogant," Zain says. In addition, Zain travels doing workshops to promote good journalism through the exchange of ideas. She is in India to announce the launch of an India-specific CNN Young Journalist Award to recognise quality journalism among young media professionals in the age group of 22 to 26 years from the electronic, print and online media. She will also conduct workshops for aspiring journalists. "We are looking at supporting journalism in India. It is a very vibrant and dynamic environment. We are looking at giving young people an opportunity to be a part of the CNN experience." She however concedes that she does not travel as much as she would like to. Indiantelevision.com's Ashwin Pinto caught up with the brisk, confident and disarming anchor to find out about her work and the person behind the camera. When and how did the journey of broadcast journalism start for you? Around seven years ago I was in Nairobi doing some research for a thesis and I ended up volunteering to do work for a radio station there. I started out by reading the traffic news updates and filling for some shows at night on the overnight shift. I realised that I really enjoyed it and I started to have fun. I realised that I had the ability to make people listen even though it was raw. I did radio for four years and did not do the thesis in the end. After that I made the slide into television. I went to Kenyan Television Network (KTN) and pushed myself as a good speaker although I did not have any experience. They were very positive and I ended up doing the main newscasts with a co-anchor. I also did a talk show. I learnt that I could be comfortable in front of a camera and that it liked me. It is a more powerful medium than radio in some ways. I learnt the basics of presenting and reporting. I applied to the BBC, CNN and a couple of other television networks after a year and a half at KTN. In fact I freelanced for the BBC while I was still at the radio station. I ended up getting a position with CNN in 2000. "A news anchor is not simply a reader. He/she drives coverage and plays a role in defining the journalism of their station and someone who the viewer can trust"
Major highlights of your career so far. The major highlight was being hired by CNN when I never thought that I would be. The other was the first time I was sent out to cover a story, which was the Agra Summit in 2001. It was the first time I had done a live show from anywhere other than Atlanta. This was a challenging experience. September 11 as a news event was a big highlight as also the war in Iraq. The techniques and attitude in journalism have become better. How much research do you do for the person you are going to interview and topic you will cover? I do a lot of research. I really try and understand the story and also who I am interviewing. Who they are, their background as well as what their own viewpoints are. I cannot do a good interview if I do not know the person I am talking to or all the angles of what I am talking about. A news anchor is not simply a reader. He/she drives coverage and plays a role in defining the journalism of their station and someone who the viewer can trust. Favourite personalities you have interviewed and why? I don't have any favourite personalities. The interviews that stand out are those with politicians. I did an interview with the Malaysian Prime Minister Dr Mahathir Mohamad. It was a difficult interview because he is a great statesman and a powerful politician. Another challenge for me was the Sri Lankan President Chandrika Kumaratunga due to the personality and the issues. Shah Rukh Khan was a fun interview. Over the past three years how has your role within CNN evolved? It has evolved from writing for news anchors to doing one or two shifts on air to doing full time shifts to doing Q&A to travelling and covering stories and doing a two-hour news programme with Jim Clancy who is wonderful to work with. It has been a very steep learning curve, which keeps evolving all the time. Jim gives me a sense of what we should sometimes be looking for in a story. We can talk around the issues but get to the point. We have a lot of editorial discussion as to what makes a good story and why this is not suitable. He encourages me to build good sources and not just read the newspapers and accept that. For instance even if I am not physically present in India I can pick the phone and call up Delhi and thus do a bit of reporting myself instead of simply going by what the newswires have to say. He encourages me to do things like this that make me a better journalist and not just a nice face on TV. Why is politics your favourite topic to cover? It interests me more. The news is fascinating in terms of reporting and analysis. Here are political leaders making decisions for better or worse, which will affect millions and millions of people. These people live and die because some guy living in a city that they have never even been to is making a decision. The question is whether that decision is the right one or not. Most of the time there are other competing agendas. The poor person living in Mumbai is not the objective. Therefore it is really important to make people in positions of power accountable for what they say or do. I wouldn't say I am harsh on a subject. I try to be fair. If not a television anchor would you be doing? (Laughs) I might still have been in school and become a perpetual academic. I love the University and libraries. I would either have been a student or a professor or worked for the United Nations. Could you give a contrast between CNN, BBC and Kenyan Television network in terms of the perspective adopted, preferred subjects of coverage? KTN is a local television station and so there is more local content and local discussion. CNN and BBC have different styles of delivery. BBC has a style that is very formal that works for them which is of repute and recognition. CNN's style particularly my own on Your World Today is more relaxed and conversational. The objective and content for both the broadcasters though is the same. People like one style or the other. I don't agree with the popular perception that CNN covers issues more from an American perspective. We have quality journalists who try to be fair and represent a story. CNN may be American owned but it is not promoting an American viewpoint. Do you do as much on-field reporting as you would like to? No I don't. I mainly anchor in Atlanta. At some stage I would like to go out in the field and when I am ready I will. While I enjoy anchoring it would also interesting to go out and see what people think of the show and what they think of you and about CNN. "At CNN I try and strike a balance between being fair and being sceptical"
Your take on the exploding media scene in India what with the myriad of news channels that have launched this year. I think it is fantastic. It is a real testament to democracy in India and to the development of Media in India. I am astounded by the vibrancy of not just television but also print. Television advertising is critical in defining which station is successful and which is not. The convergence of journalism, competition and democracy in Indian media makes for a healthy scenario. In terms of priorities for any news channel portraying the news accurately comes first along with speed and style. If you want to be good you have to be right and not place excessive importance on we got it first. CNN's coverage is driven by the news of the day. At the same time CNN's Delhi bureau produces more files, stories than any other bureau in the world. Last year there was only Satinder Bindra covering India. This time there have been two more additions. This triples our Indian output in India. We have more content in all the various programmes we do not only in terms of news but also in terms of feature programmes and shows like Global Challenges, International Business Traveller. Every other day they file stuff even for the American domestic network. There has been a lot of criticism in some quarters that American networks like Fox betrayed the confidence reposed in them by their coverage of the Iraq war. Your comments. Fox has been criticised for their coverage. They were obviously one sided and did not want to show some sides of the story. I think that it goes to the wider question that in America today where patriotism and journalism converge many networks are not seen as patriotic enough if they are too critical. I wouldn't have covered a story the way Fox would have. I do not think that it was good journalism. But they think it is. I feel that their views could have been more balanced if they had tried. At CNN I try and strike a balance between being fair and being sceptical. After 9/11 happened would you say that the American television including CNN have tried to adopt a broader perspective on global matters? Definitely! American networks are more interested in international news content, which is included more and more in their newscasts. American people turn to us more for international news because we have the resources to cover the globe. What are the rewards of being an anchor? One of the main rewards for me is when I tell a story or we do a programme that has an effect. Whether you inform someone of something they did not know or if someone acts because of it is rewarding. To get something right and accurate is rewarding. In addition working on something for weeks and then seeing it go on air with every single shot, music as you wanted it is gratifying. An example is the half-hour documentary I did on the Haj earlier this year. It took me a long time. I was not present at the Haj. I was in Atlanta and so I had to order the material I wanted. I wrote the script and I crafted it very carefully. How do you manage to unwind? I try to make a balance between work and leisure. I do not just work all the time. I try to make room for relaxation and fun over the weekend. I work out in the gym. I love horse riding. I like foreign films. I watch a lot of news-based shows on television. I do not go for entertainment shows. Maybe on the odd afternoon if I am at home I might catch a soap opera or two but that would be about it. I think that some American television is dumbed down. There are however some very goods shows that are intelligent, credible and very well put out. You have Ted Koppell and Nightline, which is a journalistically impeccable show. Peter Jennings' newscasts are very solid. However some other networks tend to give shallow renditions of the news. It is important to strike a balance between what people want and what you journalistically want. I try and read classic books that I never earlier had a chance to. I recently read Gabriel Garcia Marquez's One Hundred Years of Solitude. I am reading 100 Days by Peter Stodar. It deals with the period in the run up to and during the Iraq war. He had access to Blair's government. "A lot of people experience downfall when they start believing in their own hype"
Where does your day in and day out drive come from? I think a desire to tell the story and a desire to be good at what I do. I also desire to be a good journalist and try and transcend what I am the next day. I want each show to be better than the one that preceded it. This is the positive and motivating factor in what I do. What kind of a person are you and does that get projected onscreen a lot? I hope so! The camera does not lie. What you are is what people will see. I think that because I have become more confident and relaxed than when I first started, my personality has come through. I think that I am honest, genuine and I hope that the viewer perceives me as warm and inviting. I like to think that I am not arrogant. Would you call yourself a socially conscious individual? Yes! When I was at Capital FM I did social awareness campaigns on Aids, street children, violence against women, road safety. I think that raising awareness is the key to fighting issues that are a blimp on society and finding solutions to a problem. While this is an ideological position I think that when I found myself in radio and was in a position to influence and make people aware I started doing campaigns. These have an important place in media and education. Now, however, I don't do them because my whole day and career is consumed in news reporting which is what drives me. My biggest strength is also my biggest weakness With my age and my inexperience I am more open. I can be more critical and absorb more. I have a clear path to thinking about a topic. I have not been to so many areas that I have too many things in my head. I can approach something freshly. I can breathe something different into it. On the flip side I have not been to the Middle East for 10-15 years. Sometimes it would be better if I had more experience. But like I said, its both my strength and my weakness. Proudest moment on camera and most embarrassing. My most embarrassing moment was when I was covering the Agra Summit. And reporting that Pakistan President General Pervez Musharaff had come to Delhi and he was visiting his old home in Delhi. When I finished newscasting, I said, "Finally President Pervez Musharaff has come home. To me." There have been many little proud moments and it is usually when I do a really good interview and get good feedback from people that I really respect a lot. They could be reporters on the field or people I work with. There is nothing better than when my peers compliment me such as the one with the Malaysian Prime Minister, ones I have done in the Middle East with both Israelis and Palestinians. These are the moments when I feel most good about myself and the work I do. What are the qualities required for a person to succeed as an anchor? I think that understanding and being interested in the news is important. Being sceptical is also important. You need to be articulate. You need to be able to speak and read properly. You need to be able to deliver things in a way that people can relate to and understand. You must get along with people. Being an anchor is not about you. It is about a lot of people who work to make you look good. A lot of people experience downfall when they start believing in their own hype. You do not make yourself who you are. Everyone else does, be it the director, producers, editors, writers, the sound guy. This is a huge effort. Your life philosophy? Does your perspective alter all the time since you are in the news business? No it does not. My basic philosophy can be summed up in one line. I believe that it is important where you stand but more important to note the direction in which you are moving.